Thanks again to everyone for the feedback and suggestions, much appreciated. 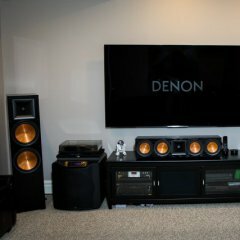 So I received my R-7's and Denon 4200. Hooked them up and I was blown away right out of the box, no adjustments to receiver. After making some fine tuning I knew I made the right choice. Absolutely amazing sound. I purchased an Epson 5030ub and Silver Ticket 135" fixed screen at the same time I had made my audio purchases. 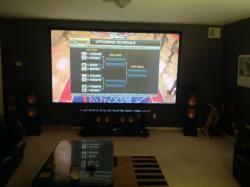 Put up the screen, mounted the projector and realized I HAD to have an RC-64 II to go with my new R-7's and tv. Got the RC-64 and then realized I had to have a sub and rears to replace my very old Bose rear speakers and sub. Need help with an amp. I know nothing about them. I can honestly say the R-7's with the RC-64 really don't NEED any help, they sound fantastic. I have a 24x20 area with an additional 14x14 room off to the side where a pool table is so I really want to fill the space. Am I nuts and spending money on overkill? you are not even close to the neighborhood of overkill yet. enjoy all you can. play as loud and as long as you can. time will smooth them out for you. it's great that you are so very pleased. the nice part is that if you want more there is more in these speakers for you to enjoy. improve your source and your amplifications and your cables and your room and they will just keep getting better. there is no end only better. They're fine at lower volumes especially crossed over high. I think you'll eventually find that your receiver will sputter out before your speakers will. and you're less than a month into this forum..... this ride never stops, it just gets faster, bigger and more efficient. You should have grabbed the seat by the emergency exit but.......TOO LATE NOW! If looking for a nice CD player, I've had great luck with Marantz, they use very good DAC's. The good ones start at $500 and up. Thanks, really appreciate the feedback. I can't wait to get em-just trying to decide what the first song will be. Great choices, B-man. You did your research well. The first song? We got you covered. 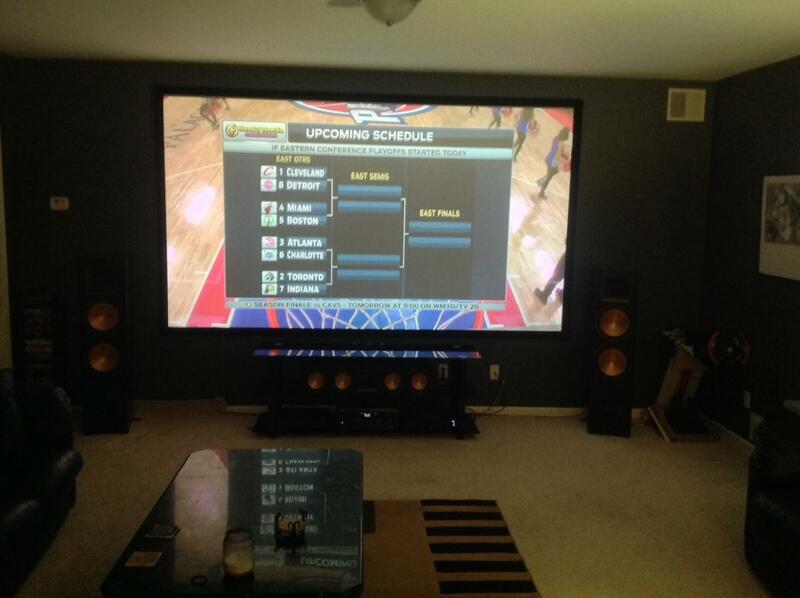 We have a forum member here with seven Klipsch Jubilee speakers in his room. Believe me when I tell you do not have overkill!